Keen’s Bali sandals are the best casual/sporty sandals I’ve ever worn. I wear them any time I don’t need a technical sport sandal, which comes out to much of the time. 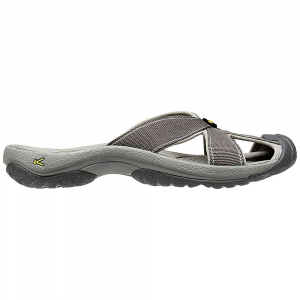 So far I’ve used them as camp and after-hiking shoes (with and without socks), for gardening and other outdoor projects, at the beach, and as general around-town shoes (my other casual sandals have been lying in a neglected heap since the Bali sandals arrived a month ago). They’re obviously not meant for paddling or other technical watersports, and if you plan on doing any serious walking or hiking I’d leave them at home. But as beach and casual/lifestyle footwear for jaunts around town (or camp or the yard) they’re unbeatable and very comfortable. 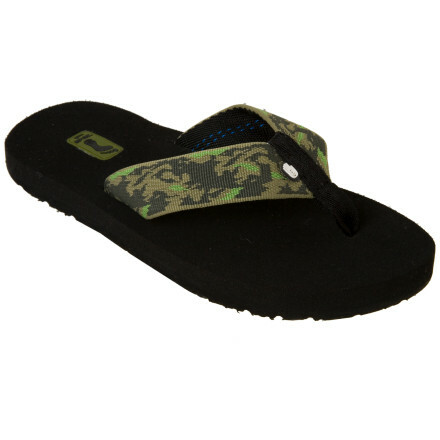 The toe guard provides plenty of foot protection, but the sandals still feel well ventilated on hot days. It’s nice to be able to wear sandals and not worry about stubbing your toes, as I’m prone to do. They’re super easy to clean off with a hose after camping, gardening, or other dirty yard chores, and I don’t worry about ruining them from dirt, mud, water, and the like, as I would for leather sandals. 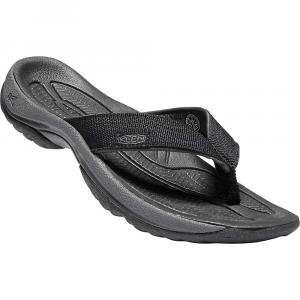 The Bali sandals are great for getting out the door fast, versus flimsy flip-flops, which gave me blisters and provided no support, or sneakers and sport sandals, when they’re unnecessary. And they look good. I’ve had quite a few compliments on them from other women who’ve admired and even tried on my Balis. These are my second of three pairs of Keen shoes (after my 2005 Keen Newports and before my 2006 Keen Chelseas). Each pair has an individual look and, more importantly, remains comfortable no matter how long they’re worn. I like that Keen’s footwear isn’t the same-old, same-old sandal and shoe styles we’ve all seen before. 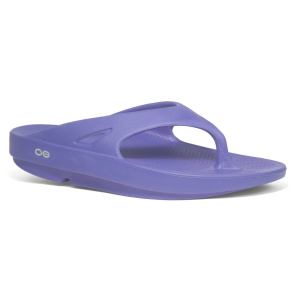 I got the Bali sandals in black (to be practical), but the periwinkle blue is cute too. So far I’ve been very happy with the fit of all three pairs of Keens and often recommend them to others. I think the lasts that Keen uses for its women’s shoes are very well-matched to my medium to slightly wide foot. Could these BE any cooler? I bought my first pair in blue and I am waiting for the second in Mango to arrive any day now. I feel like I am in my sneakers but they look great and you can dress them up or down. They have the same feel and fit as my other Keen footwear -- perhaps they run a tad larger. They look and feel like they can take a beating but still have a feminine touch. Why wear anything else? Also, they show off some toes, but not all my toes, which is good if you have a toe complex like I do.